"An understanding of the client's business needs is essential to become, and remain, their true partner." 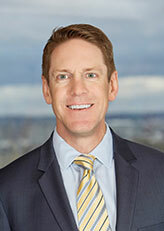 Daniel J. Finerty is a partner who concentrates his legal practice on representing and counseling private and public sector clients and Native American tribes in labor and employment law and compliance matters in front of administrative agencies, federal, state and tribal courts and in labor arbitration. Mr. Finerty has represented Wisconsin counties and cities as well as private sector employers in long-term care, healthcare, hospitality, transportation, construction, manufacturing, the service sector and other industries. As an Employment Attorney, he has handled litigation matters involving Title VII, the Fair Labor Standards Act, the Age Discrimination in Employment Act, the Family and Medical Leave Act, the Occupational Safety and Health Act, the Wisconsin Fair Employment Act, the City of Milwaukee Employee Rights Ordinance as well as other federal, state, local law and tribal ordinances. Mr. Finerty prides himself on achieving his clients' most important goals through his strong written and verbal advocacy as well as his skilled negotiation to cost-effectively resolve claims. He recognizes that clients see value in both a complete "win" against a litigious employee as well as a successful, cost-effective resolution of a contentious matter. Mr. Finerty has developed a niche employment law practice defending long-term care providers and other healthcare employers from discrimination, harassment and retaliation claims including claims arising under Wisconsin's Healthcare Worker Protection Act, unreasonable refusal to rehire worker's compensation claims, unemployment insurance claims and coverage disputes, in labor arbitration and other labor and employment litigation disputes. In addition, Mr. Finerty provides particular expertise to his clients challenging unemployment insurance claims by current and former employees and independent contractors based on years of experience in all facets of the unemployment insurance system. He has successfully challenged numerous initial claims, aggressively advocated on behalf of clients in Appeal Tribunal hearings, on appeals to the Labor and Industry Review Commission and on appeals in circuit court and the Wisconsin Court of Appeals. In addition to disputing employee claims as an employment attorney, Mr. Finerty defends businesses being pursued by the Unemployment Insurance Division for allegedly unpaid unemployment insurance taxes and litigates and resolves coverage disputes. As an experienced Employment Attorney, Mr. Finerty regularly advises his clients on how labor and employment-related legislation and regulation may affect their businesses and assists clients in developing compliant policies and practices. He spends a considerable amount of time speaking to trade groups including the Wisconsin Healthcare Human Resources Association (WisHHRA), various TEC Groups, the Metropolitan Milwaukee Association of Commerce (MMAC), the Wauwatosa Chamber of Commerce, the Wisconsin Association of Textile Services (WATS), the Wisconsin Fabricare Institute (WFI), the Metro Milwaukee and Fox Valley SHRM chapters, and other trade associations. The labor law topics range from how to effectively dispute unemployment insurance claims and how to defend discrimination claims in the ERD and EEOC to developments in labor and employment law; social media and its effect on the workplace; workplace bullying and what to do about it; and determining reasonable suspicion for drug and alcohol testing and structuring effective drug testing programs. Mr. Finerty has led other compliance discussion relating changes in Wisconsin and local law, such as Wisconsin's Concealed Carry law and the City of Milwaukee Paid Sick Leave Ordinance, among others. University of Wisconsin – Madison, B.A., 1994. American Health Lawyers Association – Fraud and Abuse, In-House, Labor and Employment, and Post-Acute and Long-Term Services Practice Groups. Metropolitan Milwaukee Society for Human Resource Management (MMSRHM). Daniel's well-researched article reviews the first slate of decisions from the Labor and Industry Review Commission which applied the specifically-defined misconduct provisions implemented by the 2013 Act 20 changes, a dramatic injection of "common sense" into the Unemployment Insurance system, and provides useful guidance when challenging UI claims. © 2014 Wisconsin Defense Counsel. All rights reserved. Finerty, Daniel, LIRC Confronts Recent Changes to Wisconsin Unemployment Insurance Misconduct Standard, Wisconsin Civil Trial Journal (Summer 2014). Daniel reviews the broadly-worded "protected activity" outlined in the Affordable Care Act's retaliation provision, reviews the Occupational Safety and Health Administration's ACA retaliation claim filing procedures and suggests an acute awareness of the broadly-definition of "protected activity" is critical to proactively take steps to prevent or reduce the impact of ACA retaliation claims as the implementation of the employer mandate approaches. © State Bar of Wisconsin 2013. Finerty, Daniel J., An Ounce of Prevention: Minimizing Affordable Care Act Retaliation Claims, Wisconsin Lawyer, Volume 86 No. 8 (October 2013).